This page was formerly split, presumably because the topics written about are very diverse and an assumption was made that they couldn't have been the same author. Works that were previously on #2 had been moved to #1, leaving #2 empty. All the works in the unknowns were related to works in #1, so I unsplit the page. Peter Mayle has 1 media appearance. Bookworks Book Club is free and open to all interested readers. 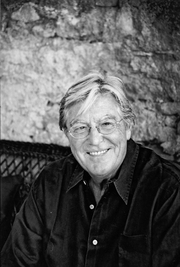 November's selection is The Marseille caper by Peter Mayle. Our own Book Club in a Bar will be discussing The Vintage Caper by Peter Mayle. Peter Mayle , A Year in Provence. Peter Mayle is currently considered a "single author." If one or more works are by a distinct, homonymous authors, go ahead and split the author. Peter Mayle is composed of 7 names. You can examine and separate out names.